Everyone will feel better when all "the stuff" has a perfect place. Proudly built in South Dakota! 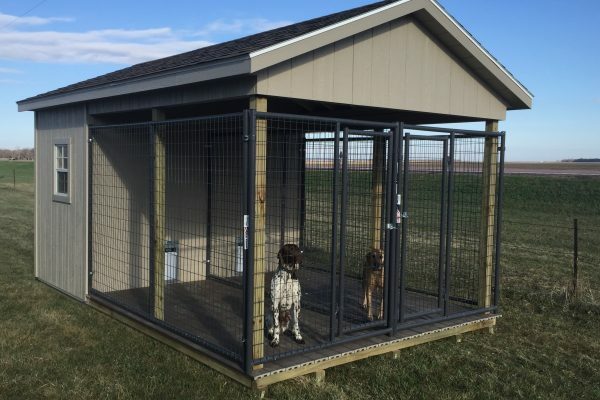 Keep your pets or hunting dogs in a safe, dry enclosure that's well organized and easy to clean. 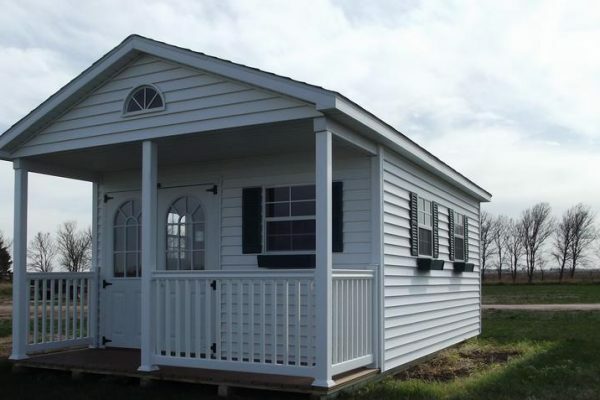 An attractive custom garden shed is a great way to move one step closer to the backyard of your dreams. 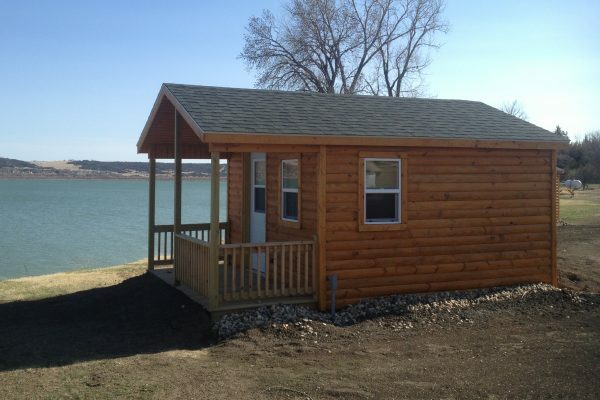 Your cabin at the lake or tucked away in the trees is the perfect place for happy times and a campfire. Keep your investments, toys, and all your equipment clean and ready to go with a portable garage. 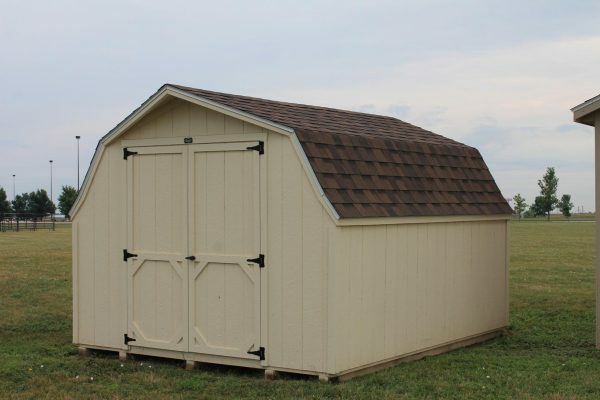 We offer you the very best sheds for the value. 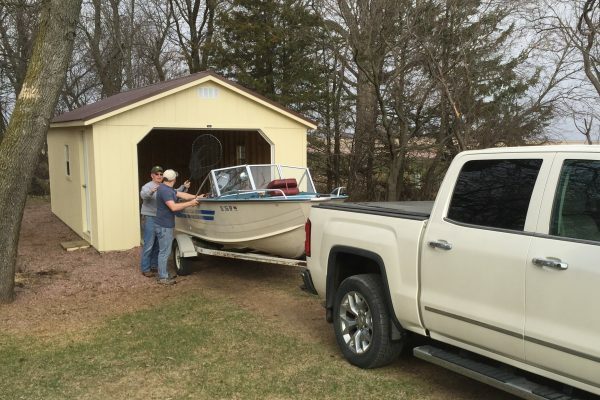 Pre built storage sheds that are built with quality and longevity in mind. As an example: we have been using LP Smartside siding products from the very beginning of our company. 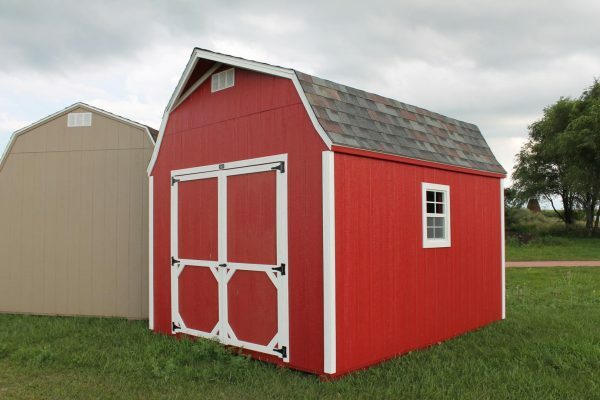 These higher-grade products were used in the housing industry but even up till a few years ago, very few manufacturers in the shed industry invested in these better materials. 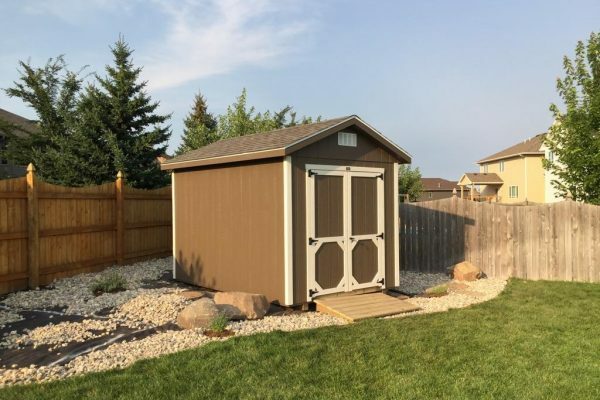 Once you have a Quality Storage Building, your back yard will never let you be without one again. Store More For Less, In Your Own Yard. 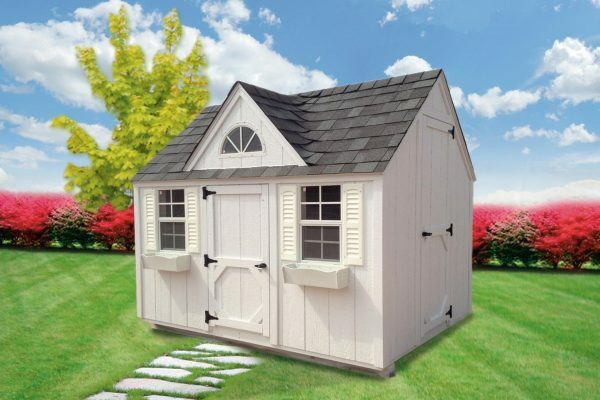 We have many different pre built storage shed styles and size options to choose from. 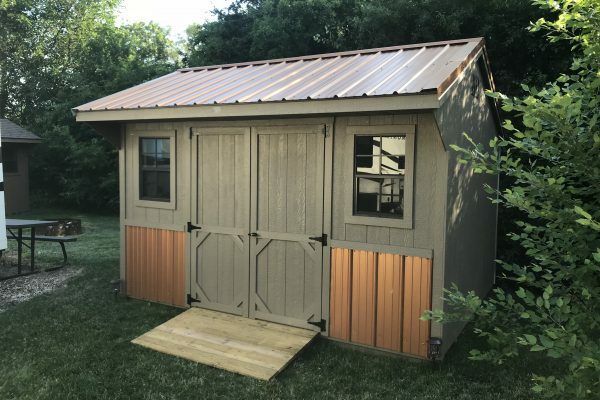 Having a locally built South Dakota shed in your backyard offers convenience, accessibility and security for your investments that cannot be matched by off-site or self-storage facilities. 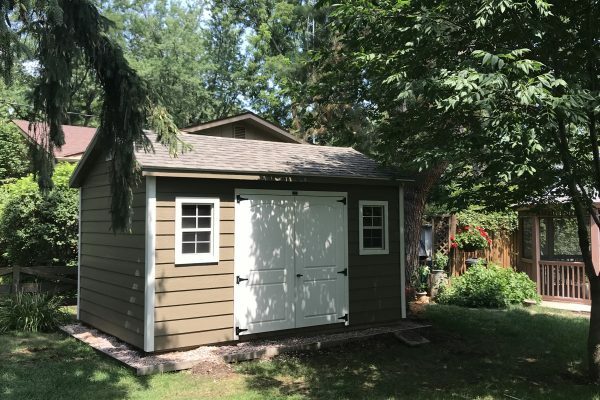 If you are on a budget and would like to make payments towards owning a building, be sure to check out our Rent-To-Own Storage Sheds program. We look forward to working with you! 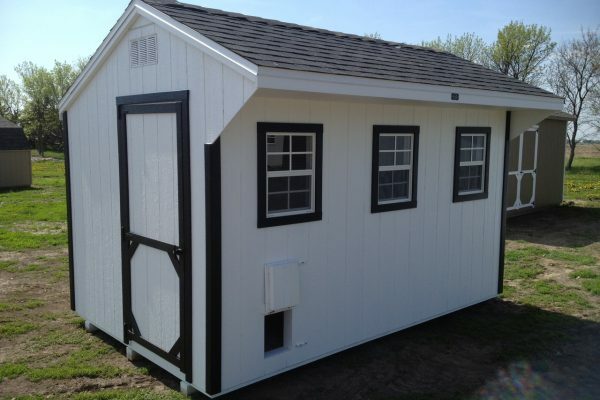 Pre built storage sheds that are built with quality and longevity in mind. A wise investment that doesn’t deteriorate in a few short years. 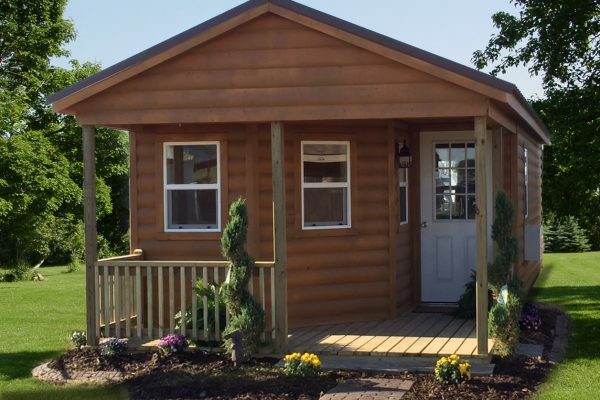 Our goal is to give you a structure that is built to the same quality standards as your home – and that same quality building we would put in our own backyard. 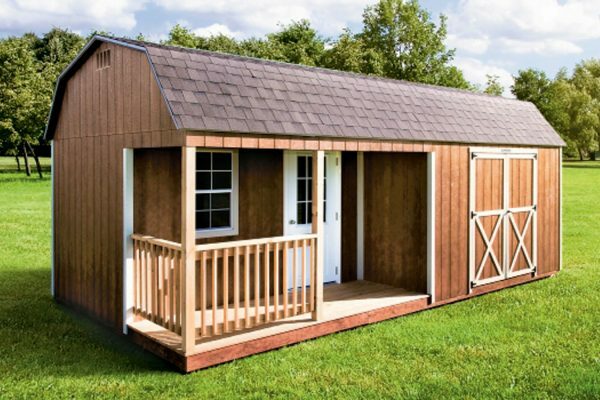 Protect your valuables in one of the many beautiful storage shed options we offer. 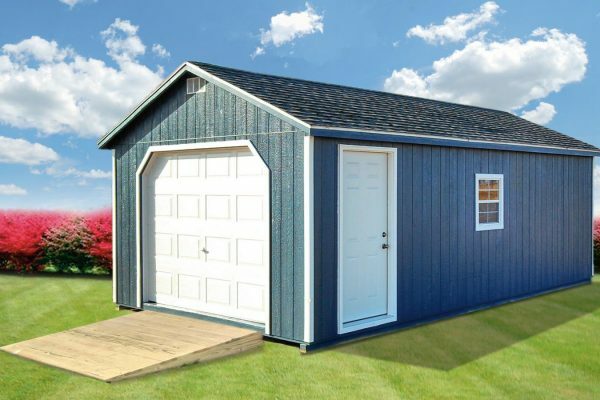 Check out our Rent-To-Own Storage Sheds option if you are on a budget and would like to make payments towards owning a building. 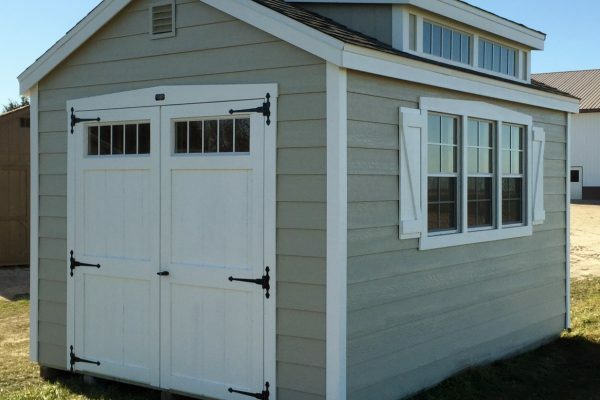 For around the same monthly payments of self-storage charges, you may be able to invest in a Rent-To-Own garage or shed and actually own the building in 36 months or less! 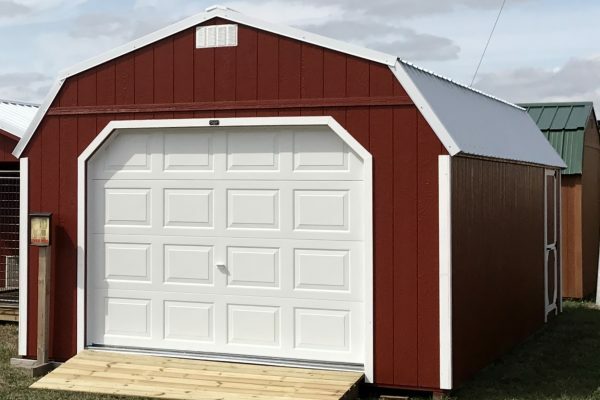 Quality Storage Buildings is a family owned and operated business located near Alexandria, South Dakota. We believe in our community and give where we can. Some of our recent public projects have been with providing temporary structures for the Dakotafest, South Dakota State Fair, and the city of Crooks Annual Christmas Market.